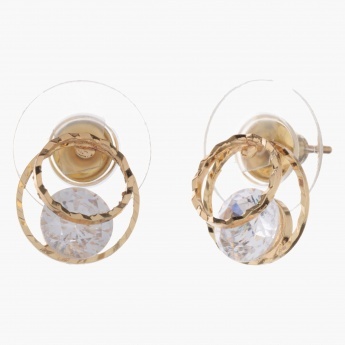 Highlight a beguiling look with this enticing pair of stud earrings. 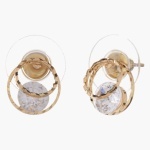 It features a layered design with circles encasing a lovely crystal accent. The lustrous finish adds to its aura.